Clients often ask us’ how often should I visit? or ‘how long should I leave it until my next cut/colour? 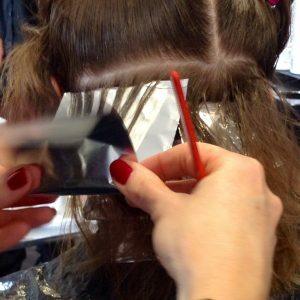 The answer to this question can differ from person to person and obviously depend on the individuals hairdressing budget , however, there are certain guidelines that should be followed to keep your hair looking its best at all times. Here’s a guide to help you get the most out of your hair style and colour..
There’s so many colouring trends available now but as a rule if you have a full head colour then your roots will be growing back through around 4 to 5 weeks. If might differ slightly depending on how different your natural root colour is compared to the colour applied, but those pesky greys can be really visible on brunette and red/copper colours so 4 weekly visits in a must for you. For those of you that are coloured blonde then 4 weeks is an absolute must for you lovely ladies I’m afraid. In fact, blonde hair is high maintenance so leaving it any longer than that and it will start to look dull and in need of brightening and freshening up. 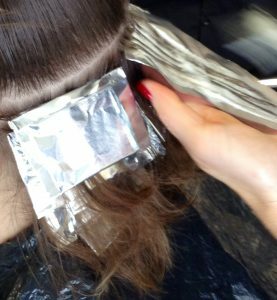 These are the lower maintenance colouring technique due to the highlighted strands blending with your natural colour especially if you have a couple of colours running through and can usually get away with 12 weekly appointments, you should however visit in between, around 6 weeks for a Cut & Finish. You could always have a toner to freshen through your blonde on this visit too. Again this is a low maintenance colouring choice because semi colours last around 25 washes and fade during this time leaving you with very little regrowth if any at all. If you go for a vibrant semi- colour then this will fade slightly quicker and be in need of freshening up slightly more often but you can get away with having one every time you visit for your Reshape & Finish appointment around 4-6 weeks. This one is easy……..short hair styles is a definite 4 to 5 weekly visit. short styles are structured and need to be kept on top off to stay looking sharp and tidy. The same goes for bob hairstyles, As for those of you with long hair, well you all know you leave it way too long to visit. We know your long locks are precious to you but those scary split ends will just split way up the hair shaft if you leave it too long and then we have to cut more off to get rid of them. Try not to leave it any longer than 6- 7 weeks and use split ens cream or oils in between to help keep the split ends at bay. Taking all this into account then to keep on top of your style and colour you need to visit the salon every 4-6 weeks. Any thing over 7 weeks is too long. We always recommend making at least your next 2 or 3 appointments before leaving the salon this way you can pop them in your diary and get on enjoying life. We will send you your appointment reminder text the week before your visit. If you haven’t already got your visit booked then please call us now on 01384 402890 or book on-line via the Book online link at the top of this page. Your Stylist can discuss a maintenance plan with you on your next visit.